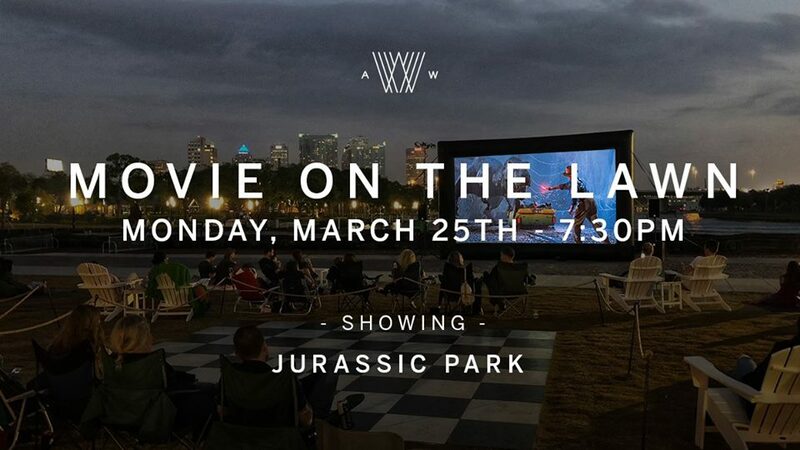 Join us for the March edition of our Movie on the Lawn series featuring the 1993 classic, Jurassic Park. Families and friends of all ages are welcome to bring lawn chairs and blankets to enjoy this free outdoor showing. Popcorn and drinks will be available for purchase along with food from any of the 14 vendors with in Heights Public Market. Jurassic Park will begin at 7:30pm. We will not be providing lawn games this evening due to the outdoor screening.